Freaky Smudge: Granny's?? No! 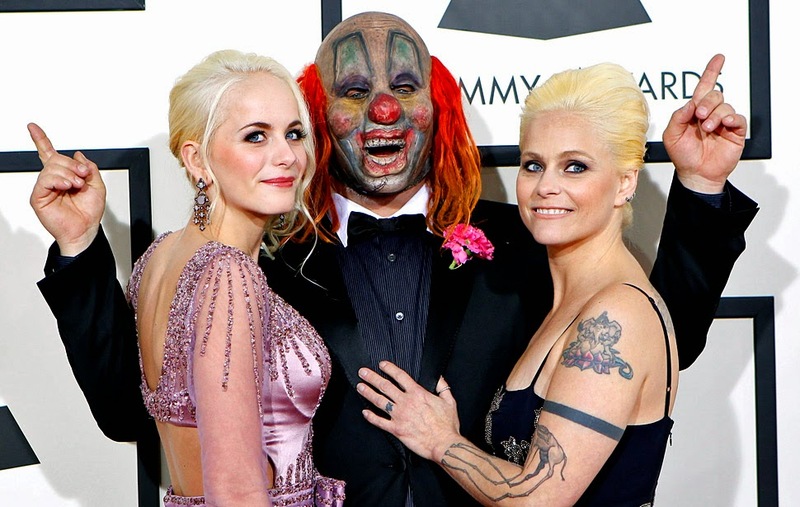 GRAMMY'S!!!! How are all you lovely beings??? I was here cleaning my room, munching on some cornflakes and I thought, "I've to write my Grammy piece!". Everyone has an opinion on the Grammys, how could you not? Music has always been a factor throughout the history of time! 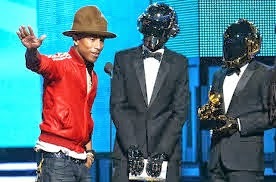 Sure, now we give trophies but maybe in another hundred years (at the 156th Grammy Awards), they'll present LASERS!! I have to say that I'm a big Skylar Grey fan and her dress was just stunning; compared to other pieces she's worn in the past, this one has a more daring edge about it! Skylar is pictured here wearing the Michael Costello gown. dress could give anyone a scare - I'm sorry but it looked like she'd been spat out of a lagoon with hair and make-up still perfectly intact. Just calling it like I see it! There was so many people strutting their stuff down the red carpet; a pregnant Ciara, long-time heart throb Jared Leto and Martians, and a crazy Kevin Hart. Keith Urban was interviewed by Ryan Seacrest and I noticed, clearly, that they were both the same height - it must be fate!! Taylor Swift jokingly commented that her Gucci gown could be bulletproof..... I'll happily test that theory! 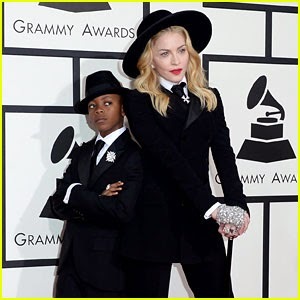 It was a bit like 'Bring Your Kid to Work' day with Madonna and her adorable son, David, and Jamie Foxx playing Daddy-cool with his stunning daughter. I think I've most definitely said it before, and I'll say it again; I believe that Madonna is greatly influenced, fashion-wise, by the legendary Marlene Dietrich - Look at this pic; I hope that I'm still an iconic figure and great influence in my field as she is in hers when I'm in my 50s. Here they are wearing Ralph Lauren. Macklemore and Ryan Lewis were there. They've had unbelievable success and I gotta say.... I wanted their suits so badly! Macklemore wore a light blue velvet - yes VELVET! - suit, while Ryan decided to make us dizzy with an all over patterned suit! Robin Thicke was there... I'm sorry but I'm going to have to agree with Channel 4's Big Fat Quiz of the Year 2013 panel and say that there is something seriously creeepay about that guy. Like come on, if you were alone with Robin Thicke and he was staring at you, singing 'Blurred Lines' you would F#CK!NG run!! One person who should go back to their regular style, which there was nothing wrong with in the first place, is Rita Ora. Did she borrow the dress from C3PO?? The fabric looked so stiff that every move she made seemed slightly robotic! Just no no no no no no no ... no. But her rings were so cool! Now I'd like to present my Best Dressed :) Although I thought Beyonce looked flawless in Michael Costello, she was my 2nd place :) Coming up 3rd was American singer Bonnie McKee in a titanium gown by Gustavo Cadile. Such a powerful dress. In 4th place, Katy Perry in a musically inspired Valentino number - I thought she looked so cute. Last but not least, it was P!nk in 5th! She looked so classy and sleek in Johanna Johnson. My lovely 1st place goes to beautiful Colbie Caillat, wearing a red dress by Dubai designer Erza Santos - perfection! Remember life before the Internet? Cuz I Don't!